i also have one crossbow mitten almost done. 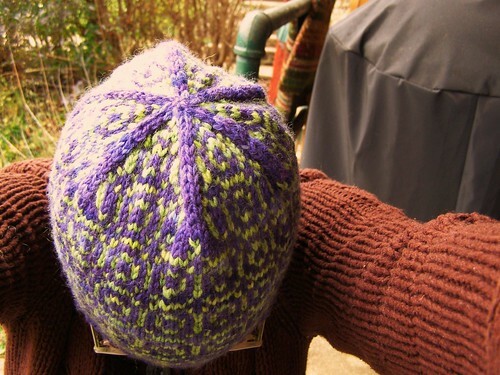 i believe you will be able to get a whole mitten and hat set with one skein of each color (yet to be proven though ;). one of those projects i was working on before being struck with pregnancy carpal tunnel. maybe i’ll get back to it soon since i do want to publish the mitten pattern. this hat is raveled here. 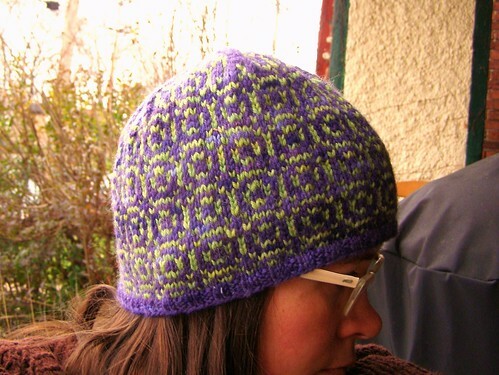 This entry was posted in colorwork, cosyknitsliterally, dyeing, hats, knitting, patterns by cosymakes. Bookmark the permalink. I love this pattern and that color combination. Matching mitts would be awesome!